Looking for the best Dominican Republic Beach Resorts? 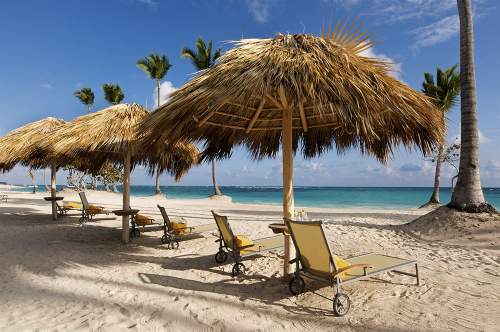 The great beaches in the Dominican Republic are around Punta Cana, La Romana, Bayahibe and Juan Dolio. 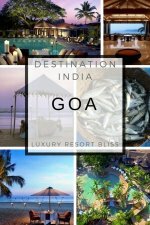 Below, we list the best beach resorts in each area. Punta Cana is a large tourist area with many great resorts. We have a number of pages dedicated to them. Visit Punta Cana All Inclusive Resorts to see all of the great resorts in this area. Bavaro Beach is one of the great beaches and nearby the Iberostar Grand Hotel. This is an adults only resort on a private beach. It has a golf course, 6 restaurants, a full-service spa and 3 great pools. Reviews of this resort are fantastic. Many call this a top resort, recommend the swim-up rooms, like the personal maid and butler service and say the staff are professional and courteous. 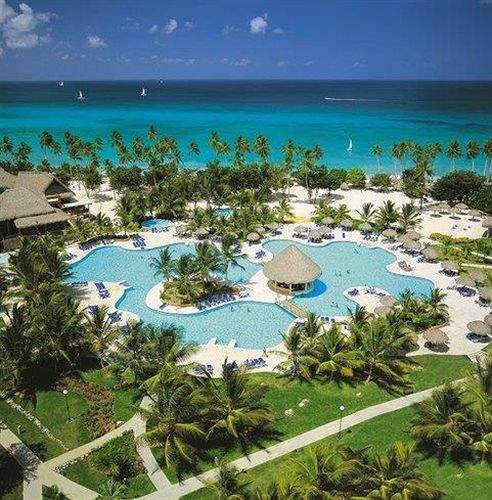 See the latest reviews and get more information for the Iberostar Grand Hotel Bavaro. Nearby La Romano, you'll find La Minitas Beach. It's a great beach to stay close to if you're looking for things to do while at the beach. You'll find water sport rentals, massages, restaurants and touristy things here. It's very popular and can be crowded - but it's also crowded for a reason! 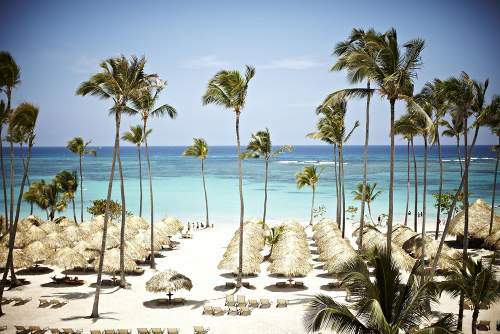 It's one of the best spots for Dominican Republic beach resorts. 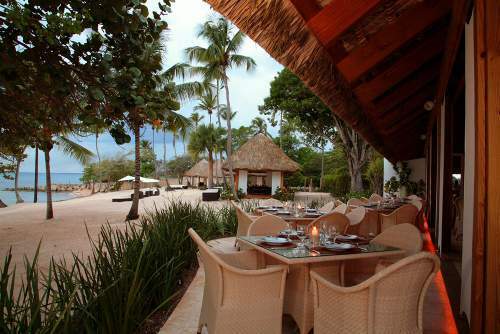 This 4 star resort is on the beach in La Romana and close to La Minitas Beach. It's also not far from another great beach called Bayahibe and near Dye Fore Golf Club. It's one of the great golf resorts in the Caribbean. It has both all inclusive and room only rates, a private beach, 6 restaurants, coffee shop, convenience store, swim up bar, a poolside bar, a hot and cold buffet breakfasts, 3 pools, a golf course, a children's pool, a health club, health spa has body treatments and more. Reviews are good here. Golf is great and the beauty and luxury are quite often noted here. Casa De Campo Expedia deals and more information. We should also note the Grand Bahia Principe Samana is another great option. It's on the top end and also has a nice beach and good reviews. Bayahibe Beach is another popular beach but more low-key and relaxed than La Minitas Beach. Wildlife preserves are close by and it is much more secluded and undeveloped than La Minitas. This beach is also close to Casa de Camp listed above. Another great beach in this area is Dominicus Beach. 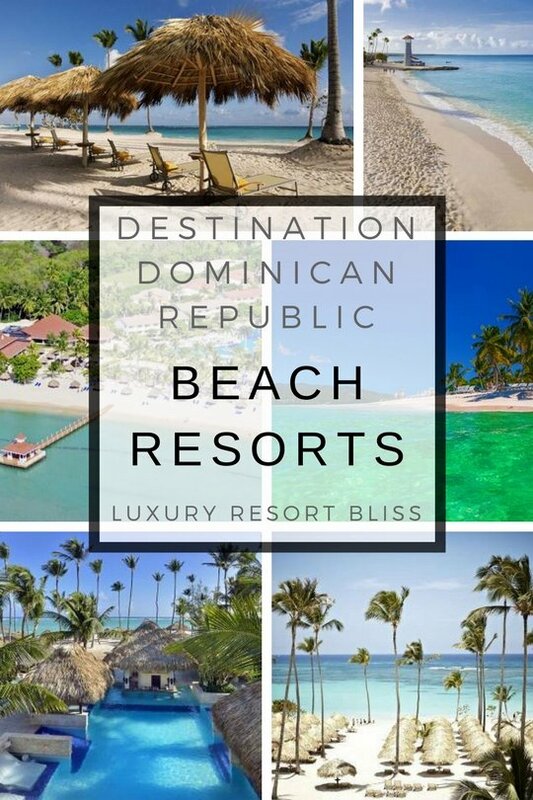 A great spot for Dominican Republic beach resorts. This resort is an award-winner and gets some of the best reviews in the DR. 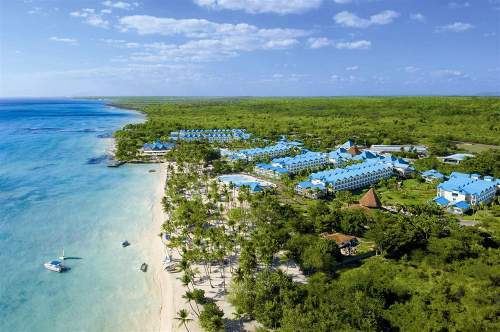 It is on the larger side, luxurious and in the Bayahibe Beach area. It is closest to Dominicus Beach. This resort offers 7 restaurants, a full-service spa, childcare, a garden and private beach. Reviewers say it's paradise, staff are kind and gracious, the garden and grounds are very nice, and food is great at all of the different restaurants. This is a large (871 rooms!) 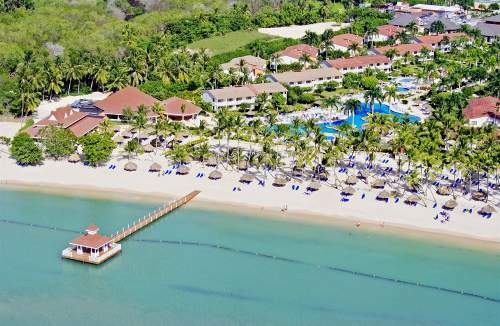 all inclusive resort close to Bayahibe Beach and national park. It's on the beach with 6 restaurants and a full-service spa. Dreams resort is an excellent choice if you want a luxury all inclusive resort. It has also been named a "Green Leader" for being environmentally sensitive. Located on a private beach, this large resort has a kids club, 8 restaurants, 3 bars, a casino, 4 tennis courts, nightclub and full-service spa. Reviews here are excellent. Past guests loved to food, said the staff were lovely and there are many many return visits - always a great sign. More information and latest reviews for Dreams La Romana. Viva Wyndham is another large resort that gets good reviews but not quite as outstanding as those above. The location is beautiful but at the time of writing, past guests have had issues with customer service. Check the latest reviews for Viva Wyndham. 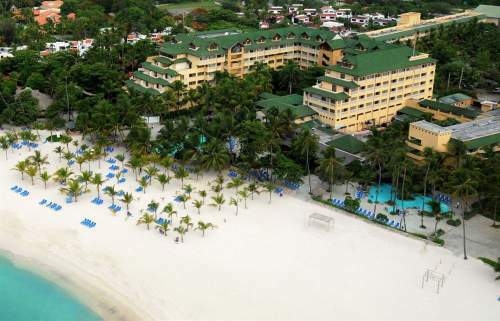 Juan Dolio is another beach location with a number of resorts. The resorts in this area don't rate quite as highly here as they do in the area above but are definitely worth a mention. A 530 room resort with heaps of facilities on the beach in Juan Dolio, close to Los Marlins Golf Course. Included are meals and beverages at most onsite dining establishments, taxes, and gratuities. Four restaurants, swim up bar, complimentary full breakfast, outdoor pool, a children's pool, a spa tub, fitness, children's club, spa has body treatments. Seems above it's 3 star rating. This 3 star Juan Dolio property is on a private beach. It's all inclusive, has a restaurant and a swim up bar. For recreation there is an outdoor pool, a children's pool, a health facility, a children's club, and tennis courts all on 17 acres. 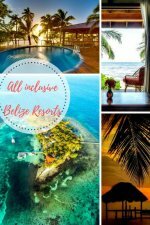 Click here for more resorts in the Dominican Republic and our favourite all inclusive resorts in DR. Don't forget to check out Punta Cana All Inclusive Resorts for more great resorts on the beach! More information on the Dominican Republic.